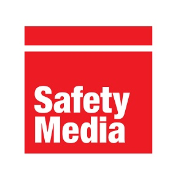 Safety Media are a well-established and trusted brand with over 20 years’ experience, continually evolving from strength to strength by creating and developing the best quality Health & Safety software on the training market. 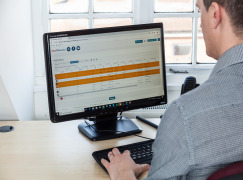 DAVIS can quickly assess your drivers and evaluate risk in just 20-30 minutes, contributing to your organisation's driver risk management programme. 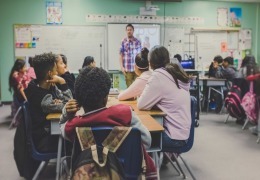 Identify your high risk drivers quickly and tailor your support and training to these individuals, rather than adopting a one-size-fits-all approach. 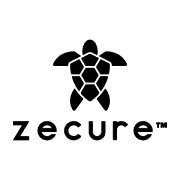 Health and safety best practices require any personnel or contractors to be inducted with their certification checked and Risk Assessments/Method Statements approved, before entering a specific site. Keeping track of company owned or leased vehicles can be complicated, particularly when different data sources are involved. DAVIS Fleet File consolidates vehicle information helping you to gain an overview of your fleet at any one time. Validate and verify your drivers with automated driving licence checks. 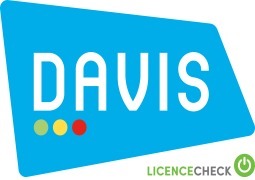 Each driver is individually profiled with DAVIS' award-winning Driver Risk Score to give a clear view of risk. Delays to any project can be extremely costly to any business – financially and in terms of reputation.